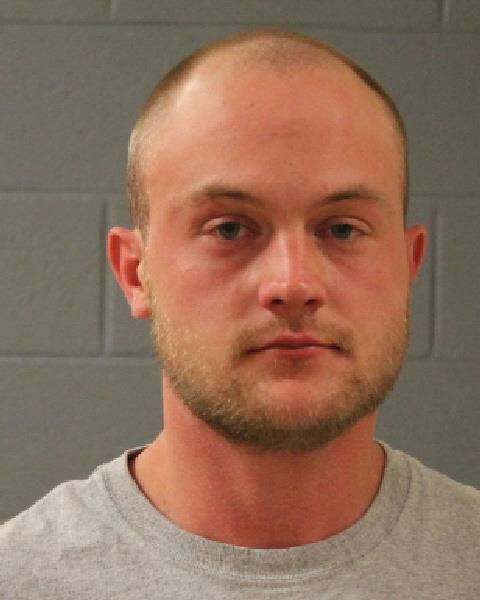 ST. GEORGE — A Nebraska man snatched a $100 bill from a truck stop in St. George and was arrested minutes later in a stolen SUV by two alert Washington City officers late Thursday night. The incident began shortly before 11:30 p.m. when a man, later identified as John Michael Anson of Louisville, Nebraska, entered the Pilot Travel Center, also known as Flying J, located at 2841 S. 60 East just off of Brigham Road. Anson approached the counter with a sandwich, handing the cashier a $20 bill to pay for the purchase. 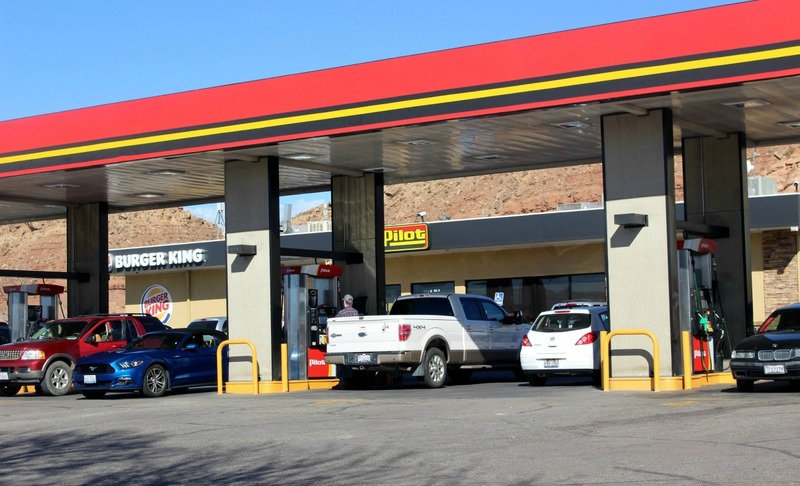 Once the register drawer opened and the cashier was occupied with getting the man’s change, Anson allegedly grabbed a $100 bill from the drawer and ran out of the store through a rear exit door, Pilot general manager Heather Bounds told St. George News Friday. The man then jumped into a silver Toyota 4-Runner parked behind the store and drove from the scene. “I’m guessing he was parked back there and jumped in his vehicle and booked it,” Bounds said. Store employees called 911 to report the incident, giving dispatch the suspect and vehicle descriptions, which were relayed to patrol while officers responded to the store. The incident came in as a robbery initially, but after officers spoke to employees and witnesses at the store, they realized a weapon or threat was not involved and it was a theft, St. George Police officer Lona Trombley said. Meanwhile, two Washington City officers were positioned at the top of the off ramp at Exit 10 on Interstate 15 northbound after the information was relayed over the radio, Washington City Police spokesman Ed Kantor said. The officers spotted the vehicle and were able to stop it just south of Exit 13, less than 10 minutes after the incident at Pilot took place, Kantor said. During the stop, the officers spoke to the driver, who matched the physical description, and learned that the vehicle was stolen out of California after running the license plate. The officer also found the $100 bill during a subsequent search, as well as an open container of alcohol inside of the car. Anson was taken into custody and booked into Purgatory Correctional Facility shortly before midnight, facing several charges, including one count of possessing or receiving a stolen vehicle, a second-degree felony; one count of theft under $500, a class B misdemeanor, and one class C misdemeanor count for having an open container of alcohol in the vehicle. A short time later police returned to the store with the $100 bill retrieved from Anson during the arrest and turned it over to the store, Bounds said. “We didn’t suffer a loss on this because he handed the cashier the $20, and snatched the money and ran, leaving the $20 here, so we might have come out ahead,” Bounds said. The Pilot Corporation, headquartered in Knoxville, Tennessee, did not respond to a St. George News requests for a statement.